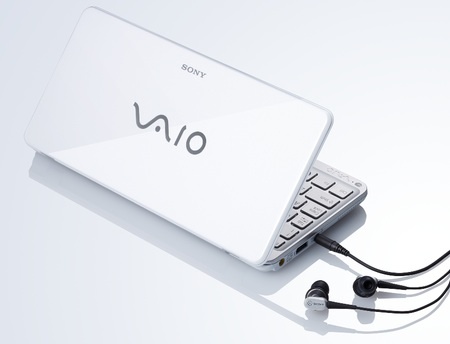 Vaio P dubbed an... ahem... 'lifestyle PC'. 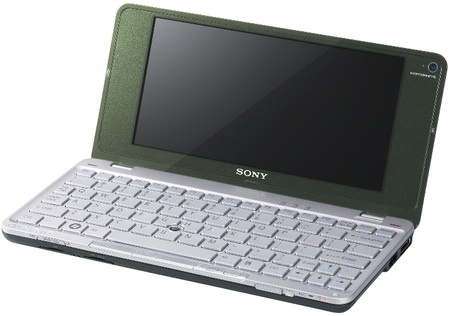 CES Yes, Sony did it: today, it unveiled an 8in netbook - or "ultra-portable PC", as the consumer electronics giant would rather you called it. It also used the term "lifestyle PC". Say hello to the Vaio P, a 640g mini laptop with a surprisingly better-than-netbook spec. Said 8in LED-backlit display, for instance, has a glossy coating and a 1600 x 768 resolution. Worried you won't get all your windows into that height? The P has a button that will reposition and reposition open windows side by side to fit the screen. 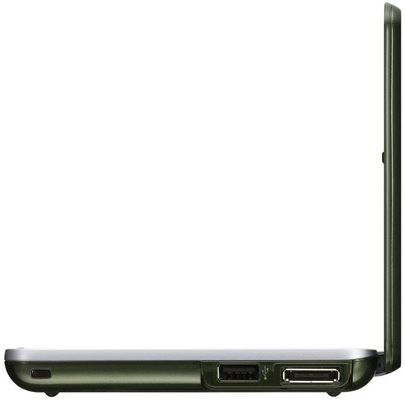 The P has 802.11n Wi-Fi and Bluetooth on board and also packs in HSDPA 3G on some models. There's 2GB of memory built in, a 128GB SSD and a "1.6GHz CPU" - though Sony didn't say what kind of 1.6GHz CPU it is, Atom or Core 2. We can confirm it's an Intel part. Graphics come courtesy of the Intel chipset. Update Yes, it's an Atom - a Z530, to be precise. The P runs Windows Vista - though there's a fast-boot UI based on the PlayStation 3's XMB interface for quick-access to the net. 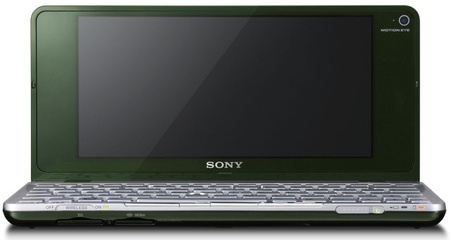 Sony claimed the unit features up to four hours of battery life with the bundled "standard capacity" battery. There's a GPS pick-up too, but only a headphone jack and a pair of USB 2.0 ports as far as standard portage goes. The P also has a proprietary "I/O port".